Today, I post on Thompsom v. Commissioner, 148 T.C. ___, No. 3 (2017), here, in which the Tax Court held (i) based on a contemporaneous case, that the President's limited removal power for Tax Court Judges does not violate the Constitution and (ii) the penalty in § 6662A, here, penalty on reportable transaction understatements does not violate the Eight Amendment's Excessive Fines Clause. I focus this blog entry only on the Excessive Fines Issue because that issue has arisen in prior blogs, particularly with respect to the FBAR willful penalty (see blogs listed and linked at the end of this blog). Section 6662A(a) imposes a penalty on any reportable transaction understatement. If a taxpayer fails to adequately disclose a reportable transaction giving rise to an understatement under section 6662A, the penalty is imposed at a rate of 30%, and there are no available defenses. Secs. 6662A(c), 6664(d)(2). However, if a taxpayer sufficiently discloses the details of the transaction, the penalty rate is 20% of the amount of the reportable transaction understatement. Sec. 6662A(a). In this latter instance, a taxpayer may be able to avoid the penalty under section 6662A if he or she shows reasonable cause and good faith, as well as that there is or was substantial authority for a position he or she took on a tax return, and the taxpayer reasonably believed that such treatment was more likely than not the proper treatment of the transaction in question. Sec. 6664(d)(1) and (2). The Eighth Amendment to the United States Constitution provides: “Excessive bail shall not be required, nor excessive fines imposed, nor cruel and unusual punishments inflicted.” “The Excessive Fines Clause limits the government’s power to extract payments, whether in cash or in kind, ‘as punishment for some offense.’” Austin v. United States, 509 U.S. 602, 609-610 (1993) (emphasis in Austin) (quoting Browning-Ferris Indus. of Vt., Inc. v. Kelco Disposal, Inc., 492 U.S. 257, 265 (1989)). In a case discussing application of the Double Jeopardy Clause to a State tax on possession of illegal drugs, the Supreme Court stated: “Criminal fines, civil penalties, civil forfeitures, and taxes all share certain features: They generate government revenues, impose fiscal burdens on individuals, and deter certain behavior. All of these sanctions are subject to constitutional constraints.” Dep’t of Revenue of Mont. v. Kurth Ranch, 511 U.S. 767, 778 (1994). At the same time, the Supreme Court recognized that taxes are typically motivated by revenue raising rather than punitive purposes. Id. at 779-780. “[N]either a high rate of taxation nor an obvious deterrent purpose automatically marks * * * [a] tax as a form of punishment.” Id. at 780. 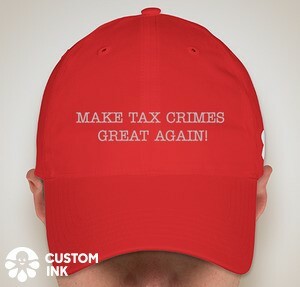 Nevertheless, “at some point, an exaction labeled as a tax approaches punishment, and our task is to determine * * * [when it] crosses that line.” Id. To pass the constitutional proportionality inquiry under the Excessive Fines Clause, the amount of the forfeiture or fine must bear some relationship to the gravity of the offense that it is designed to punish. See United States v. Bajakajian, 524 U.S. 321, 334 (1998). The Court in Bajakajian noted that judgments about the appropriate punishment for an offense belong in the first instance to the legislature. Id. at 336. The Court then came up with the following test to be used by the trial courts: “If the amount of the forfeiture is grossly disproportional to the gravity of the defendant’s offense, it is unconstitutional.” Id. at 337. Thus, to answer the question whether section 6662A violates the Eighth Amendment, we need to answer two questions: (1) whether section 6662A constitutes punishment for an offense; and (2) whether the punishment is grossly disproportional to the gravity of the offense. The Court then analyzes the cases to show distinguish between a civil tax penalty, remedial in nature, and a punishment, punitive in nature. Only the latter would potentially implicate the Excessive Fines Clause. The history of § 6662A and a companion section, Section 6707A, here, Penalty for failure to include reportable transaction information with return, show that they are remedial. And, applying the Bajakajian test of disproportionality which might indicate punishment, the Court finds that the penalty was not disproportional to the remedial goal to which it is directed. Supreme Court Passes On Exessive Fines Issue with Regard to Restitution in a NonTax Case (Federal Tax Crimes Blog 4/24/14), here. Excessive Fines -- Forfeiture and FBAR Penalties (Federal Tax Crimes Blog 7/8/10), here. FBAR Penalties and Excessive Fines (Federal Tax Crimes Blog 3/5/10), here.